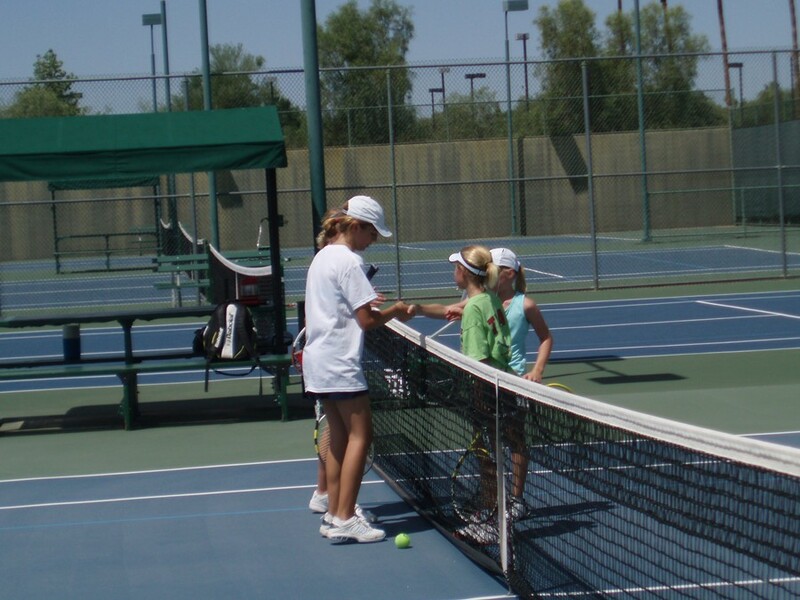 Scottsdale Ranch Park hosted the 3rd Annual USTA Central Arizona Jr. Club Championships on Sunday, August 21.
in a round robin format. A few new faces were represented and teams participated from Ahwatukee Tennis Club, Scottsdale Ranch Park, Gene Autry, Scottsdale Athletic Club-Tennis Players Academy, Surprise Tennis & Racquet Complex, Chandler High School, Notre Dame High School, and Fountain Hills High School. 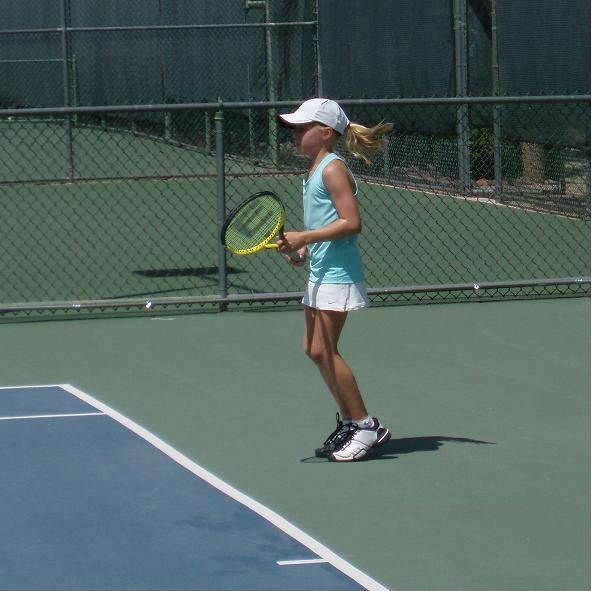 The juniors, ranging in age from 8-18 years old, competed in a World Team Tennis Format: boy’s singles, girl’s singles, boy’s doubles, girl’s doubles, and mixed doubles. A team victory was determined by which team won the most games. Sally Grabham (USTA CAZ President & Tournament Director) and Karen Weir (Manager of Scottsdale Ranch Park) ran the tournament and tried to beat the heat, while checking in teams beginning at 6:30am. A few junior volunteers were also present helping with the tournament and pizza party. 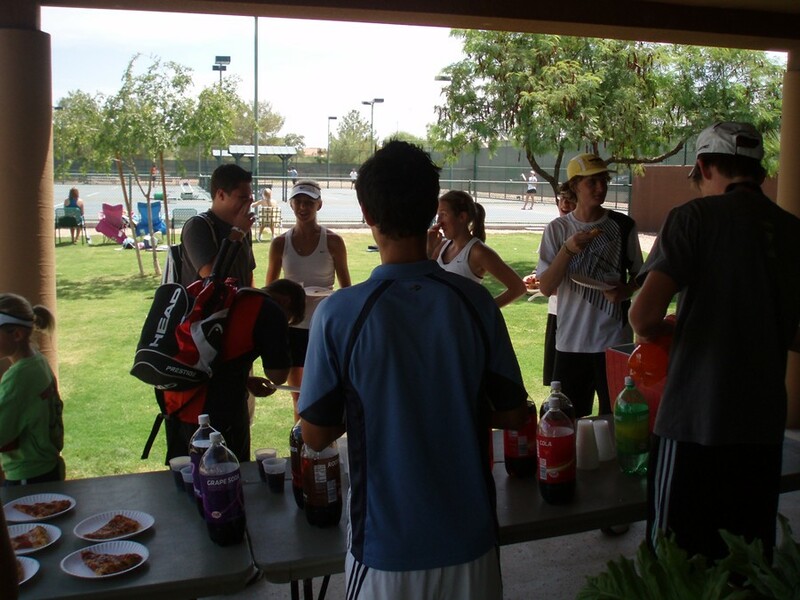 Each player, coach, and volunteer received a tournament t-shirt and pizza lunch for participating in the team event. Each division played a round robin amongst themselves and the team with most games won from each division won the title of Jr. Club Champion. 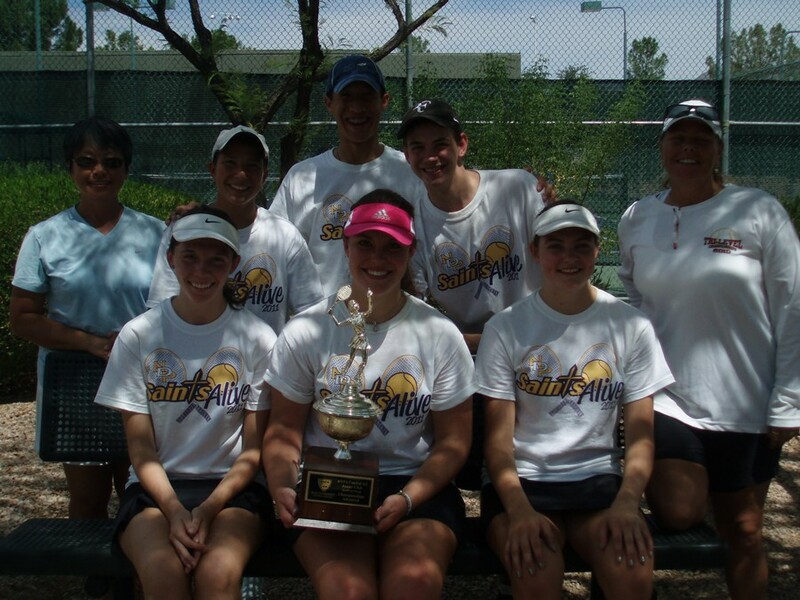 In the end, the Notre Dame High School team, Saints Alive! was named champion in the advanced division with 78 games, beating the second place Falcons team from Fountain Hills High School by 7 games. 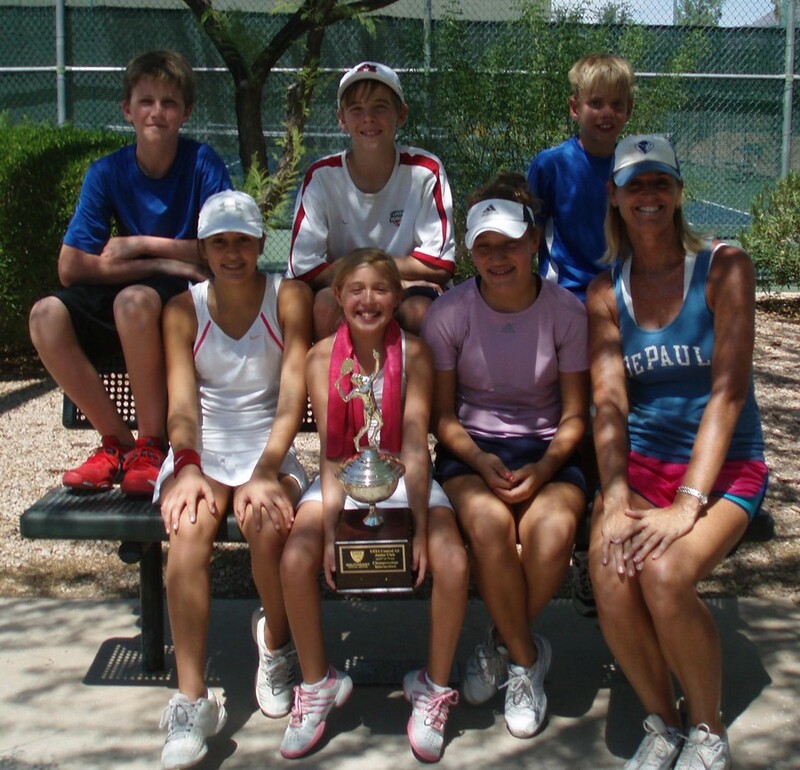 In the intermediate division, the team from Ahwatukee Tennis Club was named champion with 74 total games, beating the second place East Valley Blue team from Gene Autry by 8 games. Congratulations to our champions and thank you to all of the teams who participated this year!